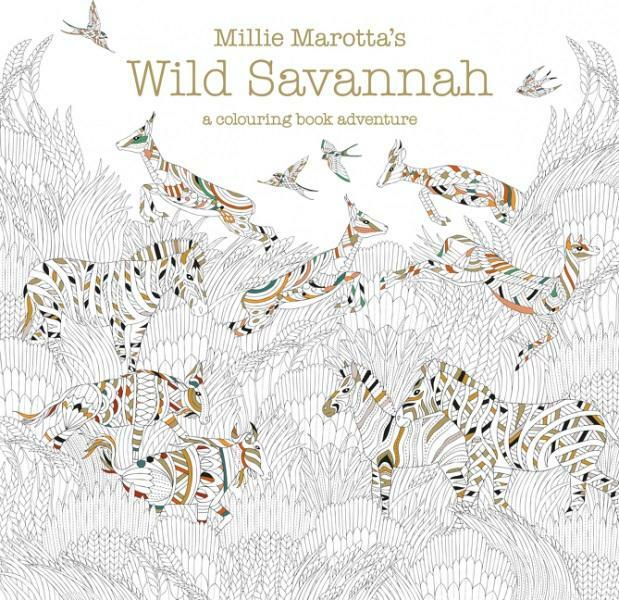 The latest book by the author of the Sunday Times Bestseller, Millie Marotta's Animal Kingdom. Millie’s new book whisks you away to the swaying grasslands of the savannahs, not only in Africa, but also Asia and Australia. The haunting acacia trees and tall grasses are the backdrop to a world of wonderful creatures. Colour in kudu and kangaroo, buffalo and beetles, dazzling zebras and leaping leopards. A feast of beautiful illustration, invitingly laid out for the reader to colour in or add their own drawing. Millie’s work has fuelled the rediscovered art of colouring in and her latest book will satisfy her biggest fans, and gain her some more. 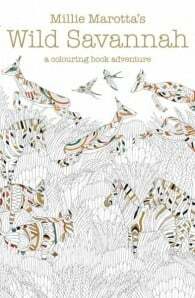 A wonderful book for those thousands of devotees of mindful colouring in. Millie Marotta works as a freelance illustrator from her studio by the sea in a little corner of West Wales. Growing up on a small holding in the middle of nowhere, she developed a mild obsession with all things flora and fauna, which along with intricate pattern and detail remains an ongoing theme in her work, whether it be for a commission or simply to indulge her own flight of fancy. She works using both traditional and digital media and enjoys working on a diverse range of projects which include editorial, advertising, merchandising, design for web, textiles and bespoke original works.